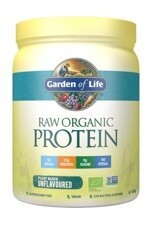 RAW Organic Fit Vanilla by Garden of Life offers 28g of complete plant protein with 13 organic sprouted grains, seeds and legumes. 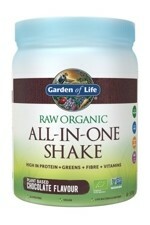 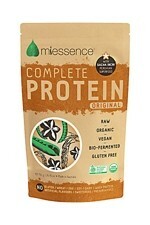 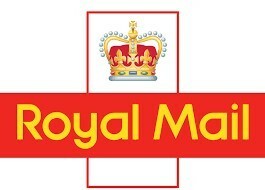 It contains easily digested plant proteins PLUS 3 billion CFU of live bacteria and 13 digestive enzymes. Protein helps support the growth and maintenance of muscle. 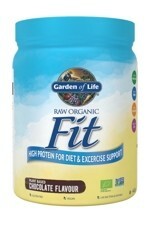 RAW Organic Fit Vanilla contains several clinically studied ingredients including raw organic Svetol Green Coffee Bean Extract (naturally decaffeinated) and Ashwaghanda to provide dietary and exercise support and an additional blend of organic Cinnamon, Daikon radish sprout, Alfalfa sprout and Baobab fruit to help support your blood sugar levels and overall needs. 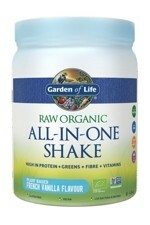 It can help contribute to your daily intake of fibre with 9g of organic wholefood fibre per serving. 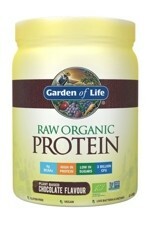 RAW matters because heat and processing can denature protein, reducing its availability to the body. 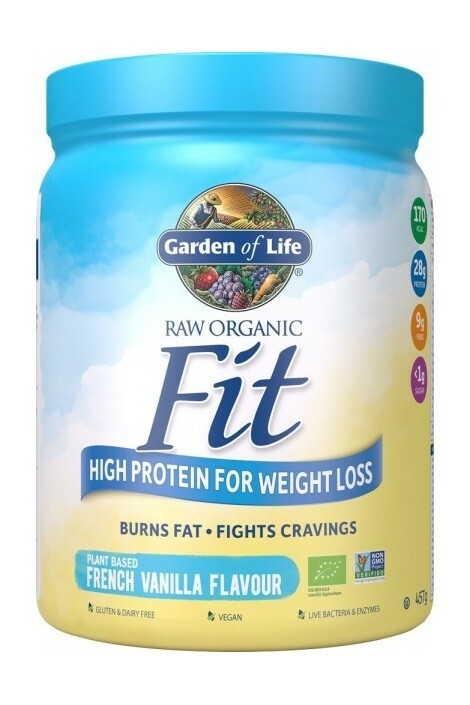 Garden of Life's plant proteins in RAW Organic Fit Vanilla are produced at low temperatures, preserving their complete amino acid integrity and RAW Organic Fit has a delicious flavour. 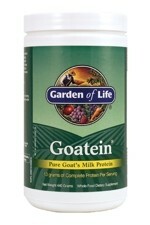 Fat 2g (3% RDA) of which: Saturates 0g (0% RDA); Carbohydrate 12g (5% RDA) of which: Sugars <1%g (<1% RDA); Fibre 9g; Protein 28g (56% RDA); Salt 0.2g (3% RDA); Vitamin A* 900μg (113% RDA); Vitamin D* 25μg (500% RDA); Vitamin E* 20mg (168% RDA); Vitamin K* 80μg (107% RDA); Calcium 200mg** (25% RDA); Magnesium** 70mg (19% RDA); Iron** 3mg (21% RDA); Chromium** 120μg (300% RDA). 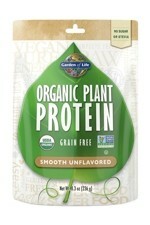 RAW Certified Organic Protein Blend (89%): Organic Pea Protein; Organic Sprouted Brown Rice Protein; Organic Tapioca Fibre; Organic Chia Seed Sprout; Organic Flax Seed Sprout; Organic Cracked Wall Chlorella; Organic Amaranth Sprout; Organic Quinoa Sprout; Organic Millet Sprout; Organic Buckwheat Sprout; Organic Garbanzo Beans Sprout; Organic Lentil Sprout; Organic Adzuki Bean Sprout; Organic Sunflower Seed Sprout; Organic Pumpkin Seed Sprout; Organic Sesame Seed Sprout. 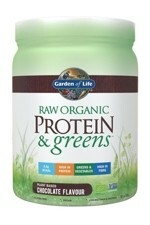 Diet & Exercise Support Blend (2%): Raw Organic Svetol (Naturally Decaffeinated Green Coffee Bean Extract); Raw Organic Ashwagandha. 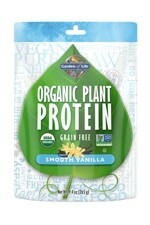 Organic Flavour Blend (8%): Organic Vanilla Flavouring. 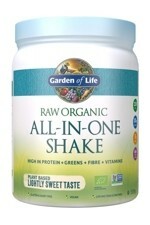 Sweeteners: Organic Erythritol (E968); Organic Stevia Extract (Leaf) (E960); Sea Salt; Organic Chai Flavour.